Employment contracts protect your rights and interests when you are an employee of a company. Some companies don’t offer a set employment contract. New Jersey and New York are generally “work at will” or “employed at will” states. Generally, an employer can fire you at any time for any reason or no reason at all. Obviously, there are exceptions, including retaliation for exercising your rights or for discriminatory reasons. When you join a business as an employee, you may be faced with an employment agreement or contract. An employment contract can come in many forms. They are most often written but can also be oral or implied. Generally, an employment contract will dictate how your job functions and what constitutes termination. It is in your best interests to contact an attorney to review your employment agreement. The attorneys at The Salvo Law Firm, P.C. have years of experience in employment law and will work to protect your interests. Though New York and New Jersey are “at-will” states, an employment contract is a great way to protect yourself for those terms. Without a contract, you are exposed to a lack of job security. There are three type of employee contracts; written, oral, and implied. A written employee contract is exactly that; written. Your employer will offer you a contract that dictates your function, terms of employment, and cause for termination. These agreements are durable. If you or your employer breaches the contract, legal action can be taken. If your employer terminates you in breach of a contract, they are exposed to litigation. An oral employee agreement is when you and your employer have talked about your function, terms of employment, and what constitutes termination. These agreements are weak and when faced with a breach, are hard to litigate. A plaintiff will need overwhelming evidence that the conversation took place and what was said. Lastly, an implied contract is when a reasonable expectation has been established in relation to employment. For example, an employee handbook details the rights of employees and employers in the working context. Most often, these handbooks are implemented to protect both the employer and employee and will detail how the working environment should function, the rights of the employee, and cause for termination. Though you may have never signed a document, it is implied that you, as an employee, will be held to those same rules and regulation. If your employer terminated you in violation of a written, oral, or implied contract, they are in breach of contract and you may have a valid wrongful termination claim. The Salvo Law Firm, P.C. has many years of experience related to employment law. 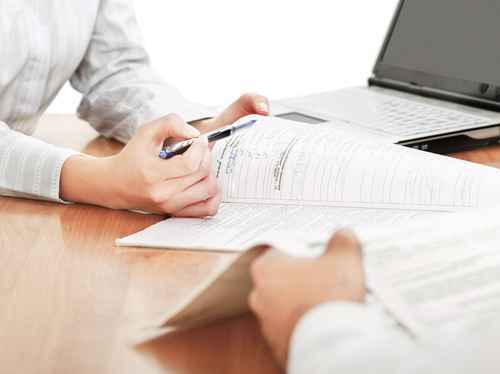 Our attorneys have reviewed countless employment contracts in order to protect our clients. If you are faced with an employment contract, contact an attorney at our firm to review the document. If you have been terminated from a position after signing an employment contract, contact The Salvo Law Firm, P.C. to see if your rights have been violated. Our attorneys are ready to assess your case, guide you through your options, and see if you can take action against the employer for a breach of contract.